We are doing reach in this industry for a long time. 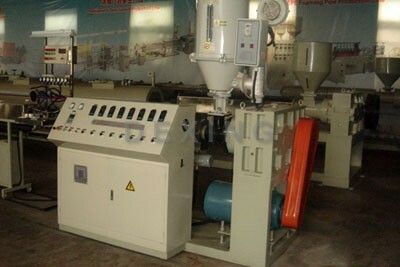 On the basis of foreign gasket machine, we developed our production line. We succeed as the supplier of Haier, Hisense, AUCMA, Meiling and other big company in China. We supply some kinds of refrigeration industry special used production line and some kinds of auxiliary equipments such as single/double angle welding machine, automatic/ semi-automatic welding machine, gasket machine and so on. The puncher, automatic 45 degree cutting machine and mechanical is designed as an integration and controlled by a set of PLC control system. Which is conveniently to control the cutting length by PLC screen.